This week in Big Bumbles we have been exploring the transient art area. We have been using woodland resources to create letters within our name. 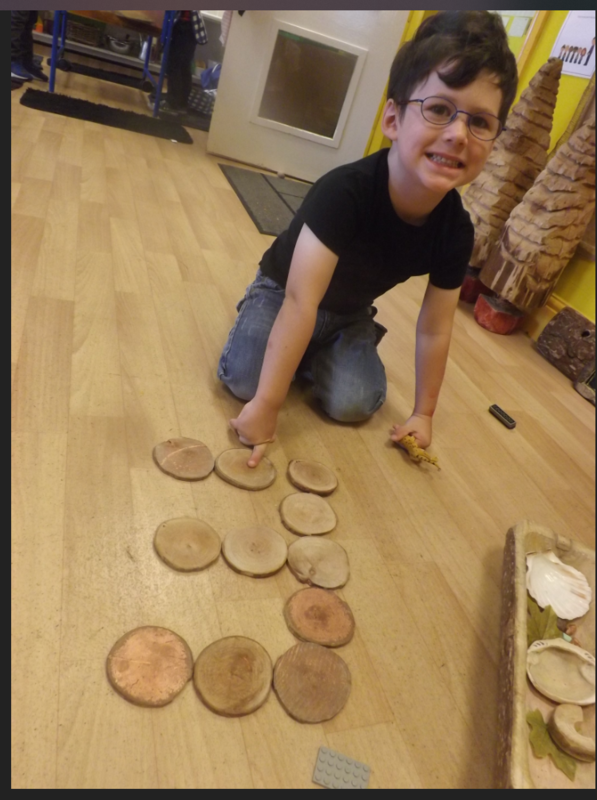 The children were vey proud to have created letters using special woodland resources rather than writing materials.